Colm Tóibín’s New York Times bestselling novel—now an acclaimed film starring Saoirse Ronan and Jim Broadbent nominated for four Academy Awards including Best Picture—is “a moving, deeply satisfying read” (Entertainment Weekly) about a young Irish immigrant in Brooklyn in the early 1950s. “One of the most unforgettable characters in contemporary literature” (Pittsburgh Post-Gazette), Eilis Lacey has come of age in small-town Ireland in the hard years following World War Two. When an Irish priest from Brooklyn offers to sponsor Eilis in America, she decides she must go, leaving her fragile mother and her charismatic sister behind. Author “Colm Tóibín…is his generation’s most gifted writer of love’s complicated, contradictory power” (Los Angeles Times). 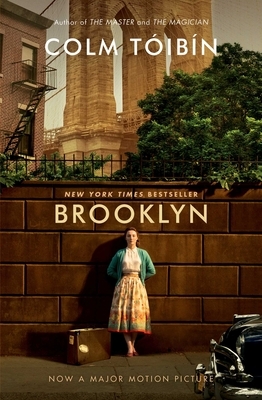 “Written with mesmerizing power and skill” (The Boston Globe), Brooklyn is a “triumph…One of those magically quiet novels that sneak up on readers and capture their imaginations” (USA TODAY). "[A] triumph… One of those magically quiet novels that sneak up on readers and capture their imaginations."